Louay Kayali is a Syrian expressionist and modern artist born in Aleppo in 1934. Young Kayali began painting when he was 11 years old and had his first art exhibition when he was only 18! He managed to become one the pioneers of modern art in the region and the most well known contemporary artist of his time. He moved to Rome, Italy in 1956 to enroll himself in the Academy of Fine Arts. By 1960, for the first time ever, he represented his country at the prestigious Venice Biennale where he displayed his artwork along with his friend Fateh Moudarres, also a Syrian artist. Two years later, in 1962, he decided to go back to Damascus to join the Higher Institute for Fine Arts as a professor. His teachings made a profound impact on future generations. In the same year, the International Modern Art Hall of Damascus exhibited 28 of his oil paintings, as well as 30 other sketches. His portraits had a significant signature; it was very powerful as he showed the strength, resilience, and nobility of everyday individuals; he usually portrayed bakers, fishermen, and mothers in his paintings. 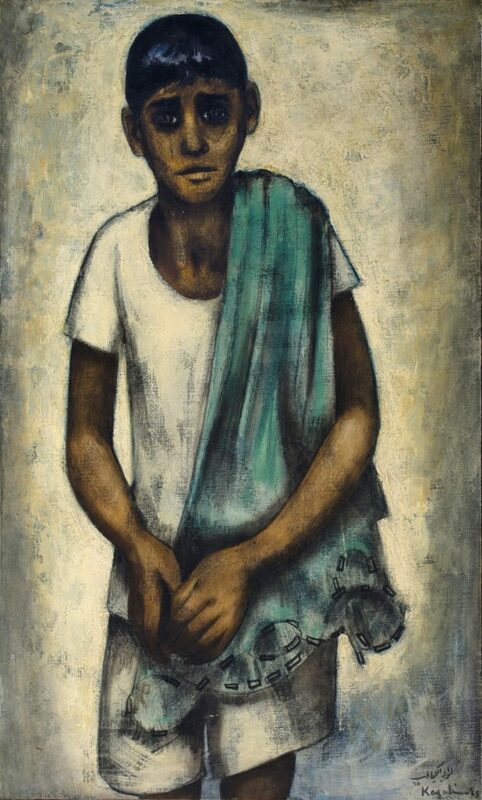 In the 1960s, he began to discover the use of charcoal in his art pieces. 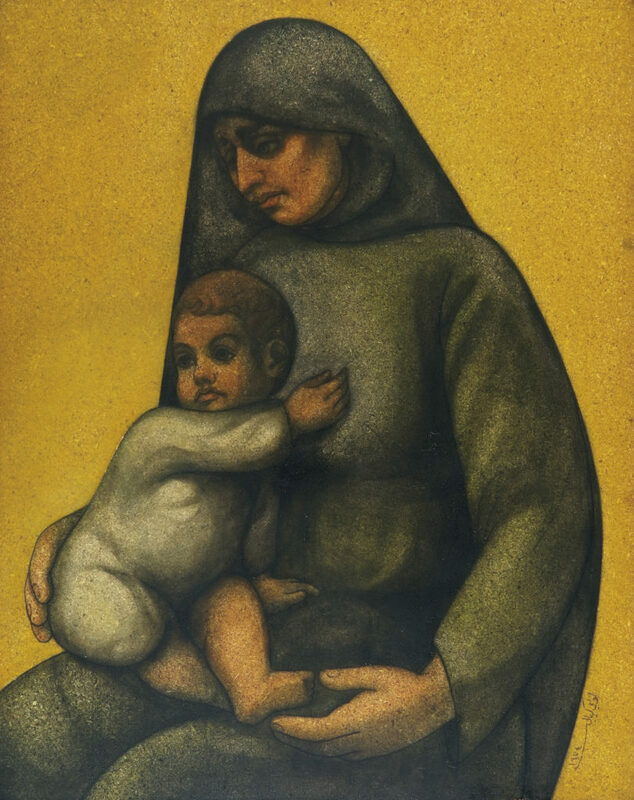 Later in the 1970s, he started to go back to painting again and even worked on a joint exhibition with his friend Fateh Moudarres; who also worked as a professor at the Fine Arts Institute of Damascus. Moudarres and Kayali both proudly represented Syria’s modern art, not only in Syria but also internationally. Kayali’s talent was always accompanied by severe depression; he had suffered from numerous psychological issues. Later in life, he lived in complete solitude and became heavily addicted to tranquilizers, which led to his tragic death in 1978 at the age of only 44. Some believed his death was caused by suicide as they believed he set his own bed on fire. However, reports claimed that his bed caught fire from a lit cigarette. Nevertheless, in celebration of what would have been his 85th birthday; on January 20th, Kayali’s influence has a wide-reaching impact on us. Even after his death, he still manages to amaze us till this day with his astonishing and memorable work. WE SAID THIS : Art is a way of survival!